Lenovo-owned Motorola had announced six new smartphones earlier this year in April. Out of the six new debuts by Motorola, the three new phones furthered the mid ranging G series of smartphones while the rest 3 were in the E series of smartphone catering to a more budget oriented audience. In the USA, Motorola launched the Moto E5, Moto E5 Plus and Moto E5 Play. Except for the third phone, the Moto E5 Play, the rest two phones in the E series were launched in India. However, now a piece of news has surfaced pointing out that the Moto E5 Play is going to make its way into European and Latin countries and it’s going to come with a few striking changes over the original phone. The most notable difference is going to be in the software, where the Moto E5 Play will run Android Oreo (Go Edition) instead of the standard stock Android Oreo. 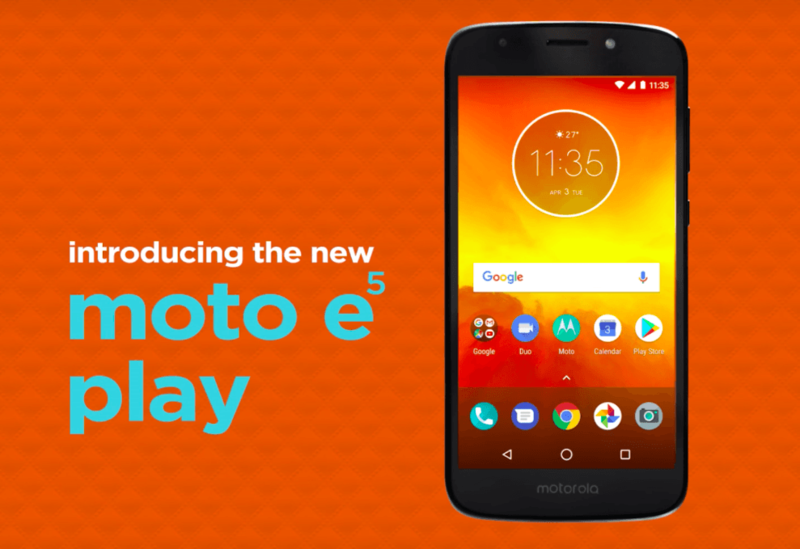 In this new launch, the Moto E5 Play sports a 5.2-inch display with 16:9 aspect ratio which is slightly lesser than the 5.3-inch display with 18:9 aspect ratio, which we got to see in the US release of the phone. The external design of the phone remains the same, with the same orientation and layout of the fingerprint sensor on the back. The cameras on the phone also stay the same, with an 8MP shooter in the rear and a 5MP sensor on the front for selfies. It is also noteworthy that the original Moto E5 Play had debuted with 2GB of RAM, however, since the new model of the phone is going to run Android Go, it’s expected that the phone will run on 1GB of RAM, given the limit for Android Go handsets. Besides this, the phone is going to come with Snapdragon 425/427 SoC. The battery on the device can be similar to the original US model of the Moto E5 Play which packs a 2800mAh battery. For storage, the phone is expected to come with 16GB internal memory, with the option to expand to 128GB using a microSD card. The Moto E5 Play Android Go edition will be available in Latin and European countries this month onwards. The smartphone will bear a price tag of EUR 109 (approx. Rs 8,700) in this region. As for the Indian launch of the Android Go edition of Moto E5 Play, there has been no official word from Motorola yet. Android Go seems like a viable OS for manufacturing good quality yet ‘very’ affordable smartphones for those who are not into high tech usage.